Sal's Realm "Not-the-End" Christmas Party! 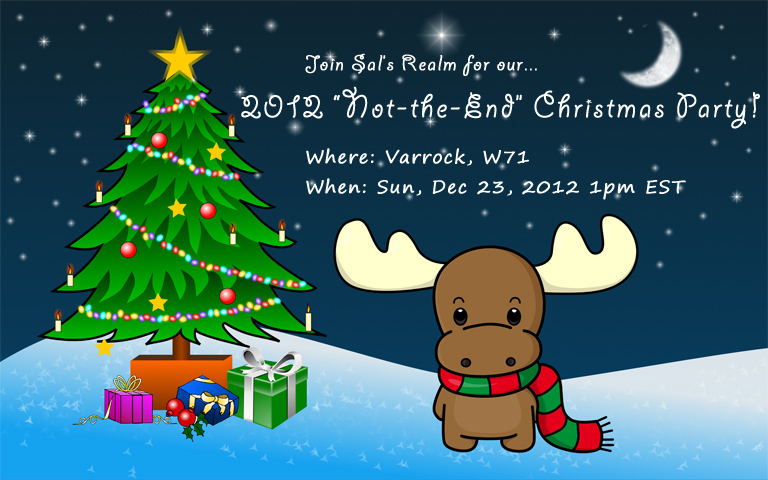 Join Sal's Realm for our annual community Christmas Party! Christmas greetings from Sal's Realm! As you may have guessed, we're hosting our annual Christmas party this year, and we want YOU to join us! There's some great fun to be had parading around RuneScape, battling some tough bugs in Pest Control, and finally a wild party at our decked-out Clan Citadel. It will be a great time to meet RuneScapers like you, and even if you're not a member of our forum community, we would really like to see you there! Spread the word and tell your friends, because the more people who join, the awesomer it'll be!